Our sustainability programme has been operating for more than 15 years and is an important part of our value proposition. Focusing on people, planet and profit will see us continue to build resilience and endurance. We have reduced our energy consumption by 4,480,000 KWH, which is enough to supply 448 typical homes for a year. We have reduced our water consumption by 23 million litres, which is enough to fill 467 domestic swimming pools. We have diverted 210 tonnes of waste from landfill, which is equivalent to filling 507 jumbo bins. We have retained, for the third year running, the highest rating of any New Zealand listed entity, achieving an A- rating in the Carbon Disclosure Project. Since 2012, we have reduced our carbon footprint by 40%. Across our portfolio, there are now 26 free electric car charging stations across five of our shopping centres, including eight Tesla supercharger stations and 16 stations provided in partnership with Meridian Energy. 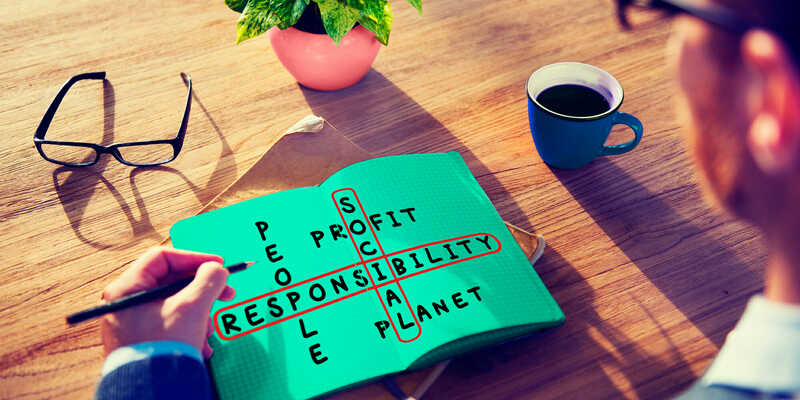 Like many companies, when we embarked on our sustainability programme, we started with a focus on implementing environmental initiatives that would reduce operating costs and allow us to tread more lightly on this planet. Today, we are increasingly focused on engagement that brings us closer to our communities, builds better social experiences, produces a strong corporate culture and ensures our investments are more resilient and enduring. We deliver this for our stakeholders by taking a holistic approach to investment management, focusing on people, planet and profit. deliver outstanding outcomes for our stakeholders. outcomes whilst optimising asset performance. When you create exceptional experiences, you create assets that are in demand, resilient and that perform strongly through market cycles. Major redesign of Wellington office complex receives 'excellent' 5.5 energy rating. Kiwi Property is proud to announce that our strategic redevelopment of The Aurora Centre office complex in Wellington has garnered the building a 5.5 Star NABERSNZ™ Energy Rating – one of the highest in the country. Our major reconstruction project kicked off in 2016, joining the former Unisys House and Aurora Chambers to form a larger, cohesive office space comprising an expansive 24,276 sqm. The refurbishment was kickstarted to accommodate a new 18-year lease for the Ministry of Social Development, a major Crown occupier. “Perhaps the best choice overall in our project choices was the inclusion of demand-controlled ventilation. Using this system, air provided and energy expended to control multi-zone comfort levels are proportional to what’s required by the CO2-based demand controls on each level,” said Mr Happy. NABERSTM and NABERSNZTM are owned by the New South Wales Government through the Office of Environment and Heritage (OEH). The Energy Efficiency and Conservation Authority (EECATM) is the licensee of NABERSNZ in New Zealand. NABERSNZ is administered by the New Zealand Green Building Council (NZGBC). The time is now for affirmative action on climate change. Jason Happy, National Facilities Manager for Kiwi Property, who is responsible for delivering the Company’s sustainability programme, said Kiwi Property had joined the business collective as a signatory to the powerful Climate Change Statement to create a compelling call for more businesses to take action towards a low carbon future. Light emitting diodes, or LED's, are not only more efficient than traditional metal halides and fluorescent lamps, they also offer far longer lifespans. Unfortunately, LED’s are expensive, meaning long payback times. By partnering with ECOLight we have transformed the economics with these energy and material efficient forms of lighting, for our benefit and the environment’s benefit. traditional lamps being produced and disposed of. The average fluorescent lamp contains 30mg of mercury, which means this project alone is estimated to save over 9 kg of mercury being used and disposed of. Our energy target for the reporting period was to extend our light replacement programme. By switching from traditional globes to LED’s we aimed to reduce our energy consumption by 500,000 kWh per annum. Our target was surpassed six-fold with the retrofitting of 9,700 light fittings saving 3.3 million kWh of power annually and 336 tCO2e. As a result of this programme, 80% of the common areas in our buildings are now lit by LED’s. From an economic perspective, our light-fitting solution has reduced the cost of LED’s to a two-year payback period, whilst also increasing the efficiency of the LED fittings by including motion and daylight sensors in each light fitting. ECOLight is poised to support businesses around New Zealand to significantly improve the quality and life expectancy of their lighting and reduce their electricity and maintenance costs by between 50 – 80%. Commercial lighting in New Zealand uses 2.1 billion kWh per year, which when replaced with ECOLight’s LED’s will save between 1.05 billion kWh and 1.68 billion kWh per year and approximately 200,000 tCO. To read more about our energy outcomes in 2018, read our latest Sustainability Report. We have reinforced our commitment to renewable energy. We have signed a non-binding Memorandum of Understanding with Meridian Energy, with a view to rolling out New Zealand’s largest combined solar installation across at least four of our shopping centres. Under the agreement, Meridian will invest in the upfront system cost and then charge Kiwi Property for the solar power generated under an innovative Power Purchase Agreement (PPA) solution. Ownership of the array will pass to Kiwi Property at the end of the PPA term, which is anticipated to be the mid-point of the system’s lifecycle. The installation programme, a first for New Zealand, is expected to deliver capacity in excess of 650kW. Once the programme is complete, it is expected that Kiwi Property’s combined solar power capacity, including the existing 350kW Sylvia Park system, will exceed 1MW, making us the largest commercial user of solar energy in New Zealand. This bold next step in our solar programme follows the installation in 2015 of what was then New Zealand’s largest photo-voltaic system for producing solar power on the roof of Sylvia Park, producing 447,566 kWh of electricity and saving 45 tCO2e. This system now produces 19% of Sylvia Park’s base building electricity requirements. In the 2018 financial year, Kiwi Property sponsored the New Zealand Retail Interiors Association’s first sustainability award. This award used Environmentally Sustainable Design (ESD) criteria developed by Kiwi Property (using a specialist consultant) to assess entrants’ submissions. The inaugural award was won by Lush’s Queen Street store. 2degree’s Queen Street store was highly commended, and the awards evening was well attended, raising both the profile of sustainability in the retail fit out industry and Kiwi Property as a leader in sustainability. To read more about how we seek to tread lightly on our planet, read our latest Sustainability Report. Our success is linked to the success of the local communities in which we operate. Accordingly, we consider it vital that we play an active role in supporting New Zealanders to prosper. We do this by not only creating vibrant places to shop and work, but also by creating a strong corporate culture, operating ethically and with high levels of governance, supporting employment and education in our industry, and by giving back to our communities through volunteering, sponsorship and helping community groups to flourish. To read more about how we contribute to stronger communities in our latest Annual Report. Our Wellington office building at 44 The Terrace has been awarded a 4.5 star 'excellent' NABERSNZ energy rating, reflecting our 10-year focus on energy efficiency. The 12-storey office complex was built in the 1980s and houses mainly government tenants, including the Commerce Commission, Tertiary Education Commission, Human Rights Commission and the Energy Efficiency and Conservation Authority ‘ also the licensee of NABERSNZ. The rating underscores our commitment to a number of energy-related projects at the site, focused particularly on commissioning and fine-tuning base building services. The 4.5 star NABERSNZ rating shows the building consumes 76.3 kWh of electricity per square metre. The largest solar array in New Zealand is now in operation at our flagship shopping centre, Sylvia Park. Covering an area of 3,000 sqm – about the size of 12 tennis courts – the solar array is at least five times bigger than a similar system installed on the roof of the Auckland War Memorial Museum. Some 1,134 solar panels will generate enough clean and green electricity to power the equivalent of 59 New Zealand homes annually. That equates to around 16% of Sylvia Park’s common area energy consumption. The installation, the latest of an ongoing sustainability initiative to be introduced at the country’s largest shopping centre, went live on 3 January 2015, producing 190,000 kWh units of electricity in its first two months of operation. 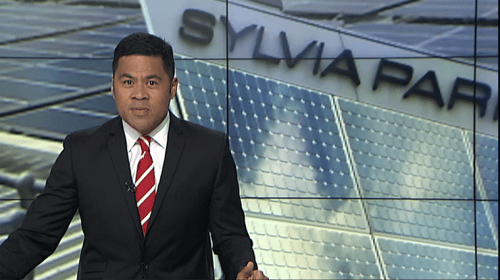 Our National Facilities Manager, Jason Happy, updates TVNZ viewers on Sylvia Park's solar array commissioning. At Kiwi Property, we’ve long been focused on producing sustainable outcomes from our portfolio of office buildings and shopping centres. 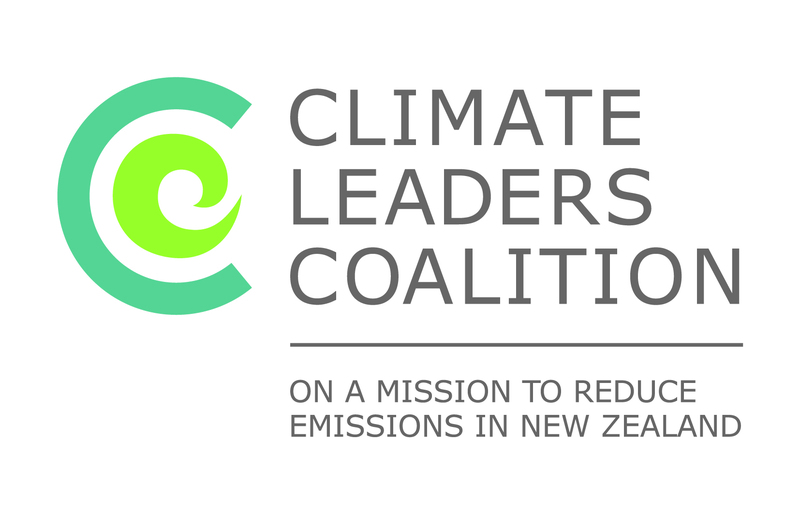 Electric vehicles (EVs) are one of the major sustainability trends in supporting New Zealand to a low carbon economy. We are seeking to support these early users, understand how this substantial change will impact on our assets, then ready our assets accordingly. In 2014, we led the shopping centre industry by introducing two trickle chargers at Sylvia Park Shopping Centre to allow our customers to charge their electric vehicles or plug in hybrids, free of charge. Given the success of the Sylvia Park installation, we have rolled out stations across our portfolio. There are now 26 free electric car charging stations across five of our shopping centres, including eight Tesla supercharger stations and 16 stations provided in partnership with Meridian. Usage of our EV stations has risen dramatically over the past year. Typically, we are now seeing in excess of 900 uses across the portfolio a month, with a total plug in time of over 1,100 hours a month. The typical stay time for an EV is just over an hour and 10 minutes, which is around 10 minutes longer than the average customer stay in our centres. The company's key documents can be obtained by clicking on the links below. The Sustainability report covers the period 1 April 2017 - 31 March 2018 to align with our wider financial and performance reporting.